Who Is Michelle On 'Empire'? Guest Jennifer Hudson Will Help Andre "Remember The Music"
Since day one, the roster of FOX's Empire has been stacked with incredible talent, including a bevy of Academy Award nominees: creator Lee Daniels (nominated for directing Precious) and actors Terrence Howard (Hustle & Flow), Taraji P. Henson (The Curious Case Of Benjamin Button), Gabourey Sidibe (Precious), and Cuba Gooding, Jr. (a winner for Jerry Maguire). 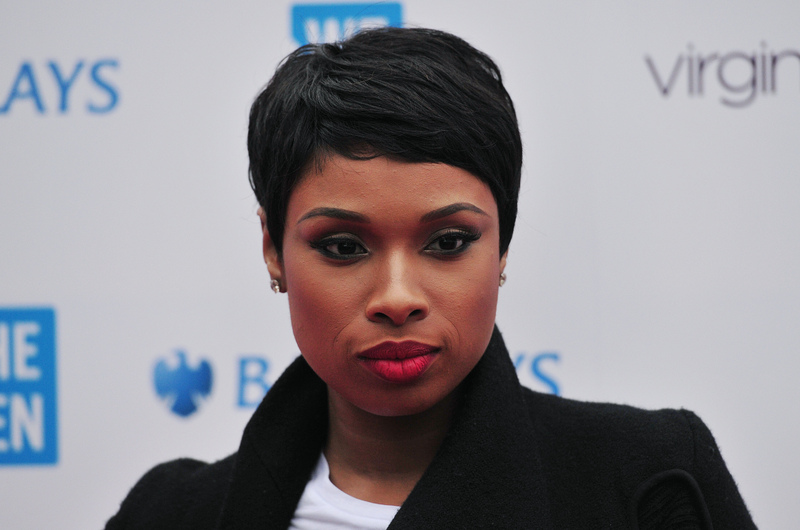 Because this embarrassment of riches apparently wasn't enough for the network, they've added yet another Oscar winner to their cast list: Jennifer Hudson, who will guest star on Empire episode "Sins Of The Father." She took home the Best Supporting Actress Oscar in 2007 for her turn as Effie White in Dreamgirls,and has maintained a successful career since then. The American Idol runner-up was recently awarded a star on the Hollywood Walk of Fame, and just last month she delivered a soulful performance during the In Memoriam segment of the Oscars, where she sang "I Can't Let Go," a song by the ceremony's producers Marc Shaiman and Scott Wittman originally written for Hudson's guest role in Season 2 of NBC's Smash . The actress is at the top of her game... so of course the next logical step in her career is to put in an appearance on broadcast television's most buzzed-about new hit. So who will the songstress be playing on Empire? FOX is being tight-lipped on any details about her role — they haven't even released any promotional photos of her in character — but we do know this much from the press release of this week's episode: "Andre forms a new musical relationship with Michelle (guest star Jennifer Hudson)." That's infuriatingly vague... although the fact that the character whose storyline she's intersecting with is Andre is an interesting turn of events. While it's unclear whether Andre will ever get the chance to show off his pipes, we do know that Michelle will have a profound effect on him. "She's soothing the heart of a very important character and helping that character along the way," Terrence Howard teased about Hudson's role. So Michelle will form a relationship with Andre, through which she manages to soothe and help the troubled young man. Crazy theory time: Hudson is playing a famous recording artist who also happens to be bipolar, and she'll help Andre realize that he can live a successful life with the disorder. The song that Michelle will be singing, titled "Remember The Music," was recently released, and it's chock-full of inspirational lyrics. "[It] truly exemplifies the power that music can have in all of our lives," Hudson told People . "In my own life and my own art, I have always aimed to move past barriers and step outside my comfort zone as much as possible, and music has always been a tool that has allowed me to do so. This song really showcases the ability that music has in helping people to find strength and clarity." If there are two things Andre needs in his life right now, they are certainly strength and clarity.